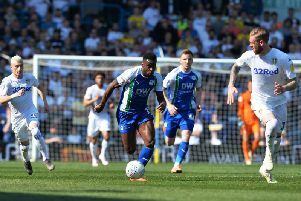 Wigan Athletic will be fully briefed and ready for the challenge posed on Good Friday by Richie Wellens’ Oldham Athletic side. Latics No.2 Leam Richardson will see to that, having been a team-mate of Wellens during their playing days at Blackpool. “I played with Richie at Blackpool, unluckily enough or luckily enough, which ever way you look at it!” laughed Richardson. “Joking aside, he was a top player to play with and I enjoyed my time with him there. “He’s trying to put his own stamp on Oldham Athletic as he did as a player. “You can see that within how he manages his players and how he sends his team out to play. “It’ll be a good game, a good test, they’ve been on a good run as of late apart from the Portsmouth defeat and we fully expect a challenge. “They’ve got a lot of talent in their squad and an ambitious young manager in Richie.